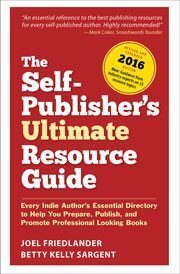 Ed: This article is an excerpt from a teleseminar I recorded with Laura Cross, who helps educate authors about the publishing process. In this excerpt, we talk about the importance of book interior page layout. Laura: Now book interior page layout is another important element of book design. Can you explain the basics of what interior layout is? Joel: The design of the interior of books is a somewhat esoteric subject, Laura because we’ve grown up with books since we were just tiny and so the books in our lives have become, even if they are treasured objects, we do take them for granted. It’s just a book, right? So all of the detail and the many hundreds of little decisions that go into how to craft the interior of the book are things that you acquire over time. It’s not so fast to become a book designer. Basically, the idea behind book design is first to create a page that’s very easy to read, and then to explain and display the hierarchy of information the way the author has produced it, and particularly in non-fiction books where we have subheads and categories and parts. The hierarchy of information has to be embodied in the book design. The third thing is to give readers navigational cues. For instance, we have at the top of the page the name of the chapter that you’re in so you know where you are in the book at all times. Those are the elements of book design. Once you have satisfied those requirements, the most important thing is to get out of the way of the communication between the author and the reader. Nobody reads books to experience your beautiful book design. They’re reading it to get the information that’s in the book. We don’t want to add a lot of decorative elements that don’t aid that communication between the author and the reader. In a brief summary, that’s about the best I can do explaining how you go about doing book design. A lot of it depends on the fonts and the typography but if you keep those things in mind, you won’t go too far off. Laura: So maybe you could share a few layout mistakes that might make a self-published author look unprofessional or hinder their communication? Joel: Great question, Laura. I’m going to tell you why this is a great question, because people who deal with books all the time—like book designers like me or book buyers at bookstore chains or the independent bookstore manager down in your local town—all of us are used to looking at books all day every day. We know what they’re supposed to look like because there are very standard conventions. When somebody comes into the field and wants to do their own book in their own, unique way because they’re enthusiastic, or it’s fun for them, and they think, “Why can’t I do it? It’s just a book after all,” they frequently make small or large errors that they’re not even aware of. Now the problem is that if you make these kind of errors, anybody in the book business picking up this book will know instantly that it was done by an amateur and it’s kind of an amateur production and that is not the impression you want to give. Laura: So you want to present yourself as a professional. Joel: This could be very important to you, like if you’re trying to present a professional book on something, you want that to come across. Here are some of the common mistakes that I see in books from self-publishers. Having blank pages on the right hand side of your spread. You can have blanks on the left hand side and that’s perfectly acceptable but it really is not acceptable to have a blank right hand page in your book. You have to watch out for that. Those pages have to have something on them. Another one is the way people use page numbers which in book design we call “folios.” There are certain pages that have to have page numbers and other pages that should never have a page number. For instance, a page with no text on it should never have a page number because after all since there’s no text it’s not actually part of the book, the content of the book. So if you have page numbers on your title page, page numbers on your copyright page, anybody looking at the book is going to know that this was done by somebody who didn’t know what it was supposed to look like. The same thing with running heads, those things at the top of the page where we put the chapter name or the author’s name or the book title. If you have a blank page with no text on it, that page should be completely blank. Maybe your chapter ended on the right so you have a blank left hand page. It should have no running head, no page number. No nothing. That’s a very common mistake. Probably one of the worst mistakes you can make, and I have seen this numerous times, is self-publishers who have page 1 on the left. That means that throughout the book the even-numbered pages are on the right and the odd-numbered pages are on the left> That’s a real no-no. It’s one of the worst mistakes you can make. In every book, the odd-numbered pages should be on the right and the even-numbered pages on the left. If you think about it, when you open the book the first page you see is page 1 and so right-hand pages always have to be odd-numbered pages. The last error is typesetting books without justifying them. Justifying means making the right edge of the type column straight, just like the left edge is. Some people set books with what we call “rag right,” with the right side of the column ragged because the lines aren’t adjusted to be the same length. That’s a really bad look for a book and you shouldn’t do it. There are some cases you could do that for artistic effect but I recommend to all self-publishers to do fully justified copy. If you avoid these 5 errors, you’ll at least avoid some of the worst mistakes and you’ll be more assured your book will actually look the way it’s supposed to look. Laura: That looks professional, like it should be on the bookshelf with all the other books. Joel: That’s what we’re aiming for. This concerns page 1 starting on the verso. Have I not seen books even as a kid where there’s a big picture or title page on the recto and story text with page 1 on the verso? Or some textbook or calligraphic design where the pagination begins with the verso? You say you’ve seen it, can you give me some published examples and why it was a no-no. Beaulieu, thanks for your question. The “spread” chapter opening, in which both pages in the spread are used, is common. It has nothing to do with the way the book should be paginated. Usually mis-pagination happens in privately printed books, where the designer or author has omitted learning about the conventions of publishing. I have a lovely small book on my desk by photographer Al Weber in which this is the case. Unfortunately, the Amazon listing does not have a “look inside” so you can’t see it. Sir are these mistakes in the design of book or in the theory of book. Omais, I was referring to the design and the errors authors make when laying out their books. I recently published a book with AuthorHouse — and when I received my author’s copies, I discovered that the initial page of a new chapter begins on either the odd-numbered right page, or, just as often, on the even-numbered left page. I was shocked — and informed that it was my responsibility to check that and correct it in the proofs, and because I hadn’t, and the book has been sent to the “printers”, I’ll have to pay a fee to get it corrected. I’m negotiating with them on the fee — and losing. So my question is, how glaring is this error? If I send copies of my book to reviewers, such as yourself, Joel, will this error cause the book to look totally amateurish? This is my first “self-publishing” foray, and I wish I had found your wonderful site before hand…. Peg, the way your book is laid out is not an “error” but a stylistic choice. It’s quite common for novels to start each chapter on the next available page, and I’ve done many books like that. It’s more common in nonfiction books to start new chapters on the right, but it’s not an iron-clad rule. Go to your bookshelf and start pulling books and looking at them, I think you’ll find what I’ve said here is reflected in your own library. So unless there’s a really compelling reason to repaginate the book, I would let it go. You’ll have far worse obstacles to confront with the company you’ve chosen than where the chapters start. Good luck! I have finished my first children’s book. I am getting ready to publish and find your articles so good. I have a few illustrations (black/white) even though I am not a good illustrator. What font would you recommend that I should use. I used Word and used Arial but I am understanding that it’s not the best for a children’s book. Any suggestions would be appreicated. I apologize ig I have given you the impression that I am a Brazilian writer. I am not. I am an American and I have written technical manuals for IBM, Hughes Aircraft, 1st Interstate Bank, Burr Brown, DuroDyne, ASM America, and many aerospace or computer-related companies. In addition I have written articles for publications such Sail, Cruising World, American Survival Guide, Black Belt, and other periodicals. All of my comments about typography and style are based upon my 30 plus years of working as a writer, editor and documentation designer. I can certainly review Brazilian publications, books, and magazines. In the 8 years I have been here, I admit I haven’t paid that much attention to those things. When I read for entertainment or education, I try to turn off the editor side of me. That’s not always easy, to be sure. 😉 For me comprehending the Portuguese is enough mental effort without paying attention to things like hyphenation, justification, and style. In any case, most of my reading these days is ebooks on a laptop. My preference there is to convert them to .txt format then I can easily adjust fonts, sizes and layout to my preferences. That is usually, Times New Roman or Arial ragged right, double space between paragraphs and whatever punctuation conventions that are already there. Even with Search and Replace, I rarely feel like doing double spaces after sentences. With over 900 books, magazines, and articles, that’s just too much trouble for light reading. James, I would be interested in the story of “one uninformed woman in a book written in the late 1980s.” Do you have any more background on this, or a citation? I’d love to see it, thanks. I don’t have a citation and no interest in looking it up. The book was “The Mac Is Not A Typewriter” and the author was Robin Something. Now, if you don;t mind, I am finished here. You do not care for dissenting opinions, especially from someone that knows what they are doing. I won’t be answering any more of your arrogant nonsense. James, I’m very sorry for the confusion. I believe it was another writer you were at odds with. I am the owner and author of this blog, and appreciate your input, whether I agree with it or not. I don’t make a practice of disagreeing with commenters since I value everyone’s opinion. Others feel differently, but I would welcome you as a reader and welcome your opinions here. What I am reading here is that the ragged right issue is a matter of your opinion, not fact, Consistency is important as is ease of reading. Inconsistent right margins do not hurt ease of reading. What you seem to be saying is that your personal opinion on esthetics is more important than that of professionals such as myself and Harper & Row. You are certainly entitled to your opinion. Obvious;y, it doesn’t bother you at all that it is not shared by those that are more experienced than you. I just looked at my own printed library. Of the 28 printed books I checked, 17 were ragged right. The ones that were justified left and right were very light weight reading for entertainment. I have over 900 ebooks and the only ones I could find that are right justified are PDF files that are essentially scanned copies of printed works, all entertainment reading. ”One final thing. An extra line space between paragraphs also makes reading more pleasant as does two spaces between sentences. That provides a visual break that otherwise would be missing, especially in an age of proportional spacing in everything except mono-spaced fonts. As I used to explain to customers and employees, white space is like real estate, the more you have the richer you appear. Even subliminal items, like the two spaces between sentences affect the perception of quality in your work. So yes, we agree that esthetics are important. We just differ on what makes good esthetics. James, thank you for your informative and informed comments. You are the second commenter here from Brazil, and since this conversation began I’ve learned something about Brazilian book typography. Namely, that it differs from the standards here. I think this is formative as we undoubtedly prefer the conventions with which we were raised. In the U.S. it is not common to encounter trade books from major publishers that are not fully justified. It’s the convention, as it was in most of the history of letterpress, where justification is a real pain. Because of this it can be a sign of an amateur production which is why I usually advise new publishers to stick with justified text. Of course, the opposite might be true in Brazil! Anyway, it would be fascinating to learn more about how book typography differs in Brazil, and if you feel it would be worth writing up, I would be interested in hosting an article by you here. It’s apparent that we have very different libraries, and that you know nothing about my experience (over 40 years in publishing). The extra space between sentences is probably the most basic indicator of an amateur typographer, and is a holdover from 1960s (and earlier) typewriting. The “subliminal” impression I receive from the extra space is that the typesetter is a beginner. I just looked at three other Harper books. All are fully justified. Are they less professional than the rag-right Harper book I recently bought? And, as for “Inconsistent right margins do not hurt ease of reading.” That sounds like an opinion, not fact. If you can show it’s a fact, I may revise my opinion. I, too, like the use of ample white space (a.k.a. negative space). This can be achieved with large margins, large leading, large spaces around illustrations, and other means other than rag-right, extra spaces between sentences, and extra spaces between grafs. As far as I can see, your main error is assuming your opinion means anything to me or to anyone else. If I have said anything to give you the impression it does, I apologize for that, It was never my intention. Your statements indicate to me that you really know nothing other than your own prejudices. So keep spouting your nonsense. I have neither the time nor the inclination to correct your erroneous opinions. You will note that I use two spaces between sentences here. The one space thing was started by one uninformed woman in a book written in the late 1980s and people like you have been repeating that idiocy because it sounds cook even though it is sheer ignorance. Both IE and Firefox ignore your extra spaces. I will henceforth emulate them and ignore all of your excesses. As for your comment about that one woman in the 1980s, I have many books printed in the first half of the 20th century — with no wide gaps between sentences. I have no trouble locating the begnnings of sentences in them. This forum had been a pleasant place to discuss typography and other aspects of publishing. It’s sad that you want to devolve it into a flame war, common on 1980s Compuserve forums. I am not starting a flame war. I simply said you opinion is not important to me and I intended that to be the end of it. But you seem to be the kind of person who has to have the last word or you feel somehow diminished as a person. So you have it, I don;t care. It was a nice place for you until someone disagreed with you. I am sorry about your feelings of inadequacy, but that’s not my problem and I am not qualified to treat those. I am a writer and trainer, not a psycho therapist. I have been a professional technical writer, editor and book designer for over 30 years. Ragged right is the way to go. It makes the spaces between words consistent and the text far easier to read. Fully justified is an artistic thing when the content of the text isn’t as important as a “look”. Because I have a sense of humor, I would sometimes decorate a blank page with the text, “This page intentionally left uninformative.” In technical manuals, blank pages are often used to ensure that illustrations are on the same or facing pages as the text referencing them. I know all manuals are not done that way, but those are the one written by programmers or engineers and not professional technical writers. With this response, I am violating my rule to avoid debates about esthetics. They are usually as frustrating and unproductive as debates about politics and religion. To me, most rag-right books look ugly and unfinished, and indicate that the designer or publisher took the cheap and easy way, not the professional way. You say that consistent word spacing is an advantage of rag-right. If consistency is important, why is there not a disadvantage in inconsistent right margins and and inconsistent line widths? Yesterday I bought a copy of Our Kind: the evolution of human life & culture, with over 500 pages and a $24.95 cover price. It has many too-long paragraphs, inconsistent hyphenation, and rag-right typography. I assumed it was an amaterur book, but was horrified to see that the publisher is Harper & Row. I now think much less of the company. Thanks for these points Joel. I constantly do battle with clients over the ‘totally blank’ page. However, I’d add one suggestion… when creating a standard pdf e-book (ie NOT for an e-reader) from the same layout being used for the print version, go into the pdf and delete those blank pages. They are mighty confusing for someone scrolling through the book on a laptop screen. Thanks, Belinda. The reason I don’t delete the blanks from my PDF ebooks (either my own or the ones I make for clients) is that I always set them up to open in spreads. To keep the pagination correct, I need the PDF to be the same as the print book. Of course, if people view the PDF in single page display mode, they will come upon completely blank pages that don’t appear to make much sense. But you have to pick one or the other. I like the “rhythm” created by occasional blank pages in a book, either before a recto chapter start or before a new section, but hate what happens when an e-reader shows an empty screen. One possible solution is to place a tiny dingbat or publisher’s logo in the footer of the otherwise blank PDF page, so a reader will realize that the nothingbness is deliberate, and not a malfunction. I agree with all five points — but offer a caveat regarding justification. Full justification for fiction reading is ideal, as long as the designer understands and uses the tools for optimal spacing and hyphenation. I typically don’t use full justification for non-fiction or in my B2B publications because it just doesn’t work well for that type of audience. Please keep in mind that not all books and ebooks are continuous pages of text. That’s a good point, Joann, because corporate communications operate under different conventions than books do. Although general nonfiction trade books are almost always set justified, there are many forms of publications that have different standards. Thanks for the comment. Joann, with all due respect, I completely disagree. Non-fiction works, especially academic titles, should be fully justified. I think you will be hard pressed to find too many respectable publications that do not fully justify their paragraphs. I fully justify ALL of our non-fiction titles. There are cases where it might be acceptable not to, but not in a serious publication. As for e-books… that is a completely different animal and I avoid full justification in ebook publication because most e-readers don’t handle justified text well. They do it, but it looks horrid. Print and e-publishing are not the same animal. Before I took this job, the “designer” who was laying out books for this publishing house committed all of the above mistakes on a regular basis. I can’t even look at our old titles, they make me cringe. Thankfully, we have been revamping them and slowly but surely reprinting them. I feel for you Nicholas, for having to follow in the footsteps of someone who obviously was not well trained for the job. Joann, why won’t full justification work for nonfiction? I have hundreds of nonfiction justified books on my shelves, and I’ve published over a dozen. They seem to work just fine. Full justification takes additional work, and if formatters (especially amateurs) are sloppy or lazy or don’t hyphenate, it looks terrible. There is no excuse for ugly books. In my next novel, Elk River, I’m placing about nine black and white graphics to add richness to the book, these are all my own work, and I expect them to fill one page. Should the art work be on the left or right side, I expect them to fit the same text block as the facing page, but should there be an author or book title at the top? I’m sure no page number, but is there anything else to add? Also can the start of chapters be on either the right or left side? Thanks Joel, and as always great work. Gregory, I would decide based on how the graphics are used. If they are, in essence, a figure that illustrates something in the text, and are labeled that way, then they would be part of the text stream and have all the normal page elements. On the other hand, if they are decorative in nature, and not actually a necessary part of the text, I would treat the as display pages and, although counting the page in the pagination, I would leave the page elements like running heads and folios off the page. I just disagree with the last tip, about justifying the text. Usually self-publishing authors don’t use hiphenation, what will cause some serious rivers on their pages when justifyed. I think a bad justifycated book looks more amatour than a raghed right page. Tassia, there is no excuse for not hyphenating, or for producing ugly books. Tell that to the brazilians non-designers, there is this strange culture in my country where people think that hyphenation is bad. As a graphic designer I had to explain the benefits of hyphenation so many times. And had also to battle the “let’s justify every text always” that is also very common around here. My comment was made because the tip generalized justifying text without telling how to typeset a good justified text. Cultural differences are very hard to account for, and when we’re ignorant of those differences (I have no experience whatsoever with Brazilian publishing, among many other topics) it’s even more difficult. I find it interesting that Brazilians are predisposed to rag right copy, and I guess they have grown up with it and expect it, as we in America have grown up almost uniformly with books that are hyphenated and justified. Thanks Tássia, for adding to the conversation. Actually, our books are usually justified, what I meant was that we don’t hyphenate on computer text editors – a culture that may have started because old softwares had very bad dictionaries – and that causes our self publisher to deliver very bad justified books. So Tássia, it sounds like the self-published books of Brazil are justified, but done badly since they are not hyphenated. What about the books from major publishers? Are they hyphenated and justified? So maybe what you need to do to educate the self-publishers is show them the books from major Brazilian publishers and emphasize that if they want to compete in the marketplace, their books will have to be at least as good as the ones from major publishers and further, since you are an expert at how books are published, they should leave those details to you. It’s worth a try, anyway. You can rewrite to avoid hyphenation.